Here are some of the places we got to eat, and some of our favorite things! The Disney Dining plan was AMAZING. Booking sit down meals needs to be done ahead of time, or you will face some hefty weight times. Otherwise, it was so fun to pick where we wanted to grab lunch or a snack. Josh and I often shared snacks, since there was SO much food, and that way we got to try more things! Josh and I are big Beauty and the Beast fans, and I was pretty much stoked out of my mind that they built a Beauty and the Beast RESTAURANT. We made reservations for the two of us (date night! ), and sat in the ballroom. I got the chicken, Josh got the steak, I got salad with champagne vinaigrette, and we tried the grey stuff for dessert. The restaurant was beautiful… it felt like we had stepped into the movie. The entree was delicious but the grey stuff on top of a rock hard wafer-type brownie thing… and I’m not sure it inspired the word “delicious” from me OR Josh. We got this at Aloha Isle, which is next to Aladdin. Leading up to vacation, I kept reading “the dole whip is amazing,” “you HAVE to try the dole wip! !” So, I did. It is a pineapple soft serve, and you can get it as a float. Yeah… I get the hype. However, I found myself wanting ice cream instead. Josh loved it, and I think we both wanted it a second time…. but by the time we tried it there wasn’t time to get it a second time. We popped in here, and I was very happy to find humus and chips for a snack! Aaron had a cinnamon role that was about as big as his head… I felt sick just looking at it. This restaurant was really cool. The restaurant is build around one of the aquarium tanks next to the Finding Nemo ride. The restaurant is tiered, so that everyone can see the tank… we got perfect seats, at the bottom of the tier so we were ground-level with the tank. It was our last meal of the vacation, sad!, and I finished vacation off with steak and potatoes. It was delicious, and a really unique experience, watching the fish, sea turtles, sharks, and sting rays during our meal! -Quick Service restaurant inside the building with Soarin’. I got a big salad as a snack! I WAS SO HAPPY. Oh veggies. This was one of the best quick service meals. It was also one of the most simple. I got chips, guac, and a mango margarita. I was VERY happy. We even found that the restaurant had indoor seating… air conditioning after walking around all the countries?! SCORE. We got a savory pastry. Basically it was swirled with cheese and bacon. We were in heaven. So so good. I went to this restaurant with my family in 2008, and thought Josh and Aaron would really enjoy it. The interior of the restaurant mimics a drive in movie. You sit in a “car,” and there are old sci-fi movie clips/trailers playing. The food was delicious, I had a wonderful turkey sandwich and turtle cheesecake. It was super fun to introduce the guys to something I had done before, but they hadn’t! We grabbed pizza and salad before hitting the Rockin’ Rollercoaster, and then the Fantasmic show. The food was just ok; honestly the best part was SALAD. Josh and I got a carrot cake cookie sandwich. Basically, it was two big pieces of carrot cake, with the cream cheese frosting in between. This may have been one of the best snacks… in my personal opinion. Frankly, the Animal Kingdom is a little lacking in the food department… we like to get Asian food at the Yak and Yetti, with some frozen lemonaid! Super refreshing, and we’re always down for honey chicken, rice, and stir fry! This restaurant was Aaron’s choice, and I’m glad we got to experience it with him. The food was good, but the restaurant was really loud. Every 15 minutes a meteor shower went off! The lights in the restaurant went crazy, the animatronic dinosaurs all roared and squawked. INTENSE. We ate here on our first night together. Pretty simple: sandwiches, and they were simply delicious. This was my favorite place in downtown Disney. Even though it was Quick Service, they brought the food out to you, refilled your drinks, and it was an incredibly high quality (and quantity) meal. Kaity and I got different kinds of pizza, and shared. Oh, take me back to Downtown Disney… I’d love more of that pizza! 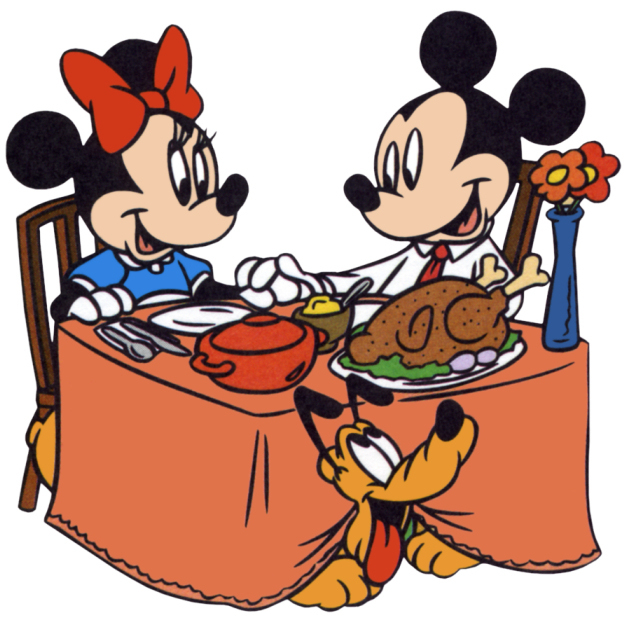 Since Disney, I have been so especially thankful for the gift of not having to cook on vacation. 🙂 I have been refreshed, as a chef, and even made up my own pasta bake (I will have to share the recipe). Cooking is one of my favorite things, but even the most enthusiastic chef needs a break, and a steak, every once in a while, right?